JULAU: If yellow shirts were anything to go by, the PKR election in Julau here today is being dominated by a team aligned to Rafizi Ramli. 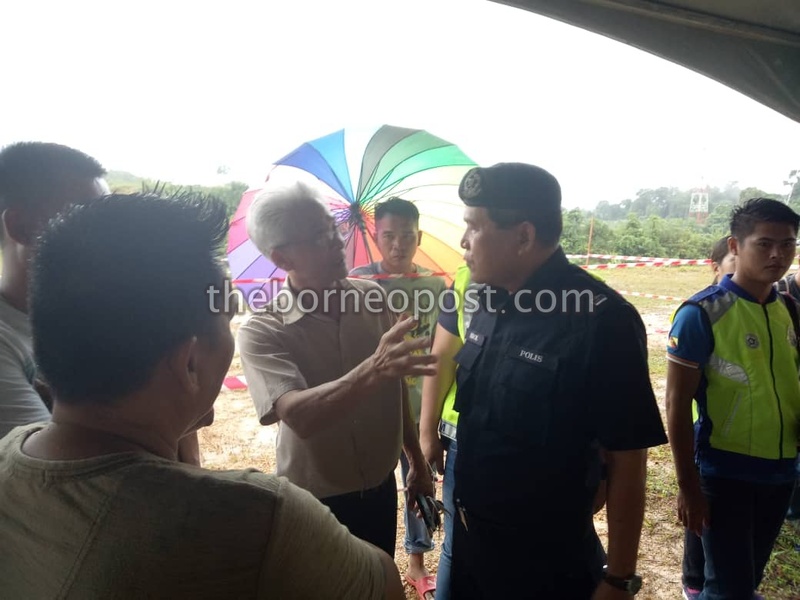 The about 1,000 voters who turned at Julau Sports Complex as early as 8am were supposed to be voting for the ‘Reformasi 20 Tahun’ team aligned to Rafizi who is involved in a steep contest with Azmin Ali for PKR’s deputy President post. However, some who doned on yellow shirts were seen entering the rival’s booth which almost sparked tension between the two groups. Fortunately, it happened right under the nose of an duty policemen who managed to calm down the situation right away. Another tense situation happened when a member aligned to Rafizi, Andy Wong Hong Yu was denied entry into the polling station. The situation was successfully defused by the police. For the record, Andy Wong was PKR candidate for Julau seat in 2013 general election. To ensure no recurrence of untoward incidents a team of police’s Light Strike Force was put on standby at hot spots. Julau District Police Chief, DSP Bidol Noyeng when met at scene believed that among the crowd of voters some were just supporters and not eligible to vote. Apart from slight misunderstanding at the registration booth and at the entrance of the polling station, the election process had been smooth, he said, while expressing hope that supporters of both camps would refrain from provoking one another. He warned that, the police would not hesitate to act accordingly if situation warranted. Meanwhile, a senior part member expected about 10,000 voters turnout at both Julau and Pakan polling stations. They were to cast their votes online and with 80 tablets provided the voting process was expected to be done accordingly before 4pm deadline. Meanwhile, Rafizi were among those present at the polling centre to observe the election process. Also present were Larry Sng. Wong talking with Dsp Bidol after he was denied entry into the polling station.